Legionella pneumophila, a causative agent of Legionnaires' disease, can colonize the water systems easily. Despite that, disinfection of the systems is difficult and expensive. Since many of the commercially available disinfectants are harmful for staff responsible for disinfection, and civilians who may inhale to aerosols from treated systems, the search of new antibacterial compound is gaining more importance. In the current study, the antibacterial and hemolytic activity of the A. orientalis extracts was investigated against eleven different L. pneumophila strains isolated from water system in Istanbul. It was determined that the ethanol-leaf extract was the most effective on the bacteria. However, considering antibacterial and hemolytic activities, the stem+leaf chloroform extract have been the most suitable antimicrobial agent agains L. pneumophila. H.Akyalçın, F. Özen and B. Dülger, “Anatomy, morphology, palynology and antimicrobial activity of Amsonia orientalis Decne. (Apocynaceae) growing in Turkey”, International Journal of Botany. 2(1): 93-99, 2006. C.W. Chang, W.L. Chang, S.T. Chang and S.S. Cheng “Influence of pH on bioactivity of cinnamon oil against Legionella pneumophila and its disinfection efficacy in hot springs”, Water Research, 42: 5022-5030, 2008. S. Çete, F. Arslan and A. Yaşar “Investigation of antimicrobial effects against some microorganisms of Aloe vera and Nerium oleander also examination of the effects on the xanthine oxidase activity in liver tissue treated with cyclosporine”, G.U. Journal of Science, 18(3), 375-380, 2005. P. H. Davis “Flora of Turkey and East Aegean Islands”. Univ. Press of Edinburg, 6,161, 1978. K. Furuhata, C. Dogasaki, M. Hara, and M. Fukuyama “ Inactivation of Legionella pneumophila from whirlpool bath waters by grapefruit (Citrus paradisi) seed extract”, Biocontrol Sci, 8 (3), 129-32, 2003. A. Itoh, T. Kumashiro, T. Tanahashi, N. Nagakura and T. Nishi “Flavonoid Glycosides from Rhazya orientalis”, Journal of Natural Products, 65, 352-357, 2002. A. Kimiran Erdem, E.Ö. Arslan Aydoğdu, G. Cevahir Öz, Ç. Erol and M. Yazgan “Antibacterial and hemolytic activities of different extracts of Amsonia orientalis Decne (Apocynaceae)”, IUFS Journal of Biology, 72 (1),1-8, 2013. D.K. Olukoya, N. Idika and T. Odugbemi “Antibacterial activity of some medicinal plants from Nigeria”, Journal of Ethnopharmacology. 39, 69-72, 1993. F. Özen “Türkiye’de Tükenme Tehlikesinde Olan Bir Türün Otekolojisi: Amsonia orientalis Decne. (Apocynaceae)”. BAÜ Fen Bil. Enst. Dergisi. 8(1), 4-9, 2006. ISNAD Arslan-Aydogdu, Elif Özlem , Yüzbasioglu, Elif , Cevahir-Öz, Gül , Kimiran-Erdem, Ayten . "Antibacterial And Hemolytic Activities Of Amsonia orientalis (Syn. Rhazya orientalis) Decne. Against Legionella pneumophila Strains". 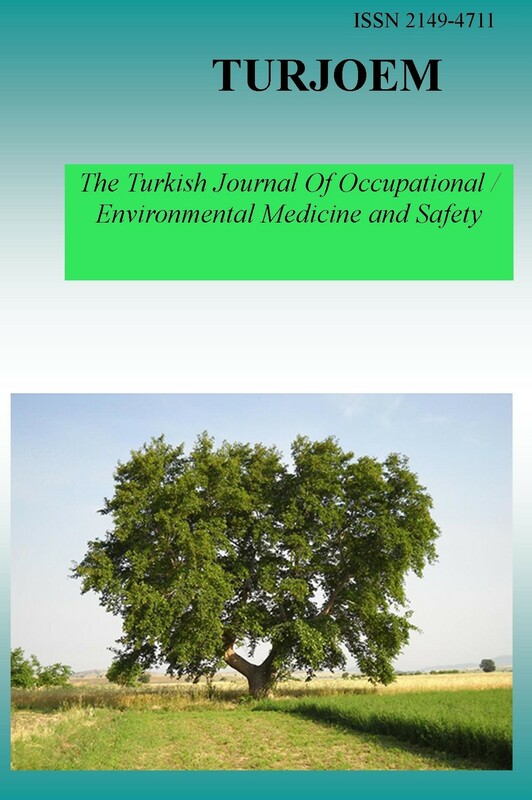 The Turkish Journal Of Occupational / Environmental Medicine and Safety 3 / 1 (February 2018): 3-3.